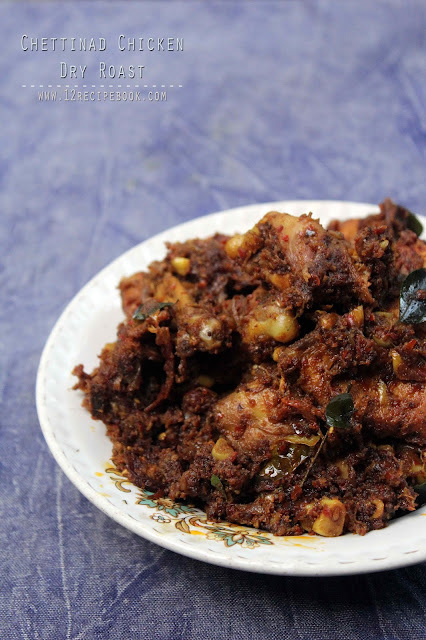 Marinate the cleaned chicken pieces with lemon juice, turmeric powder and salt. Dry roast all the whole spices along with dry red chilly for a minute in low flame. Add grated coconut and roast for another two minutes. After cools down, transfer this mix in to a blender and blend coarse (without adding any water). Keep it aside. Heat a pan with oil; add sliced onions and saute until soften. Add ginger, garlic and green chilly; saute a minute. Add tomato pieces and saute until mashed. Add marinated chicken pieces along with the blended spice mix. Mix well and cook covered for about 20 minutes on medium flame (or until the chicken pieces gets cooked). Stir often by opening the lid.Check for salt. Open the lid and add curry leaves. Cook for another few minutes until the chicken pieces are well coated with the dry gravy. 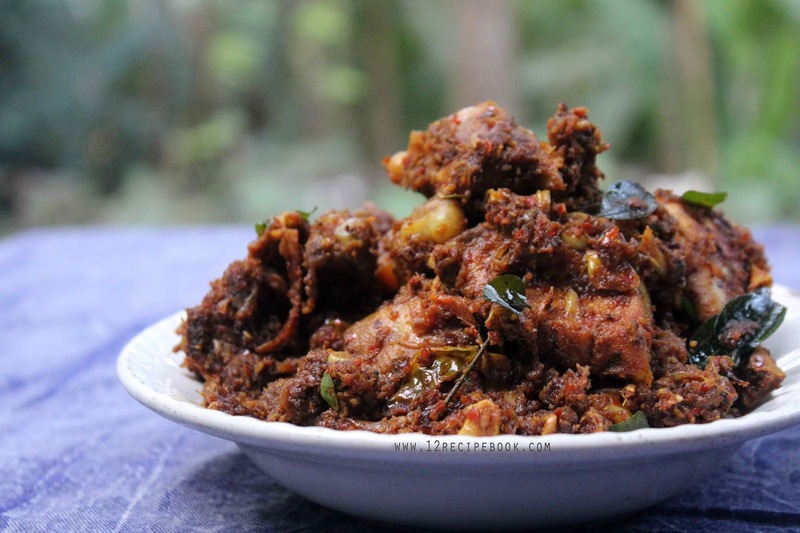 Checkout the video of making Chettinad Chicken Dry Roast Recipe to ease your cooking..